With the unusual persistence of warm water currents moving by California there is no doubt that we are experiencing the effects of an oncoming El Nino. 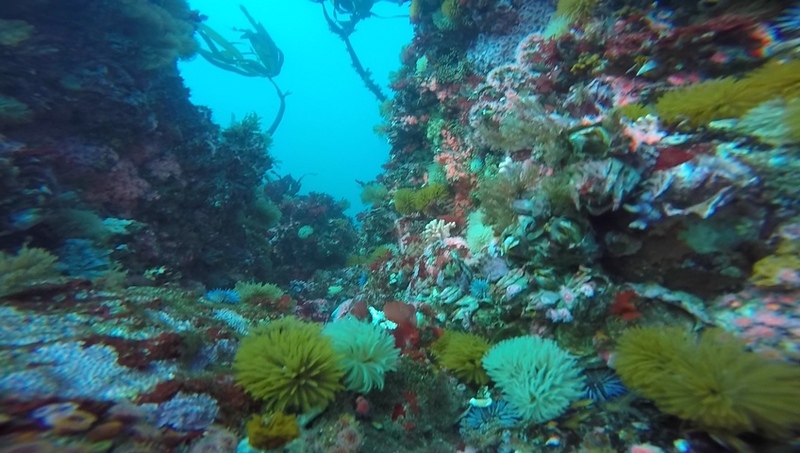 While common conditions for the summer months along the central California coast are filled with algal blooms and poor visibility we have been fortunate enough to see one of the best summers for diving in many years. Along with calm swells the algal bloom as almost been non existent, providing divers that venture into the unknown to be pleasantly surprised with the above average visibility of dives and abundance of life found in the area. Large numbers of humpback whales have been spotted and some fish that are normally found in southern California such as the Sheepshead have been seen venturing north. So if you are in the Central or Southern California area now is the time to get in the water because great things are beginning to happen. 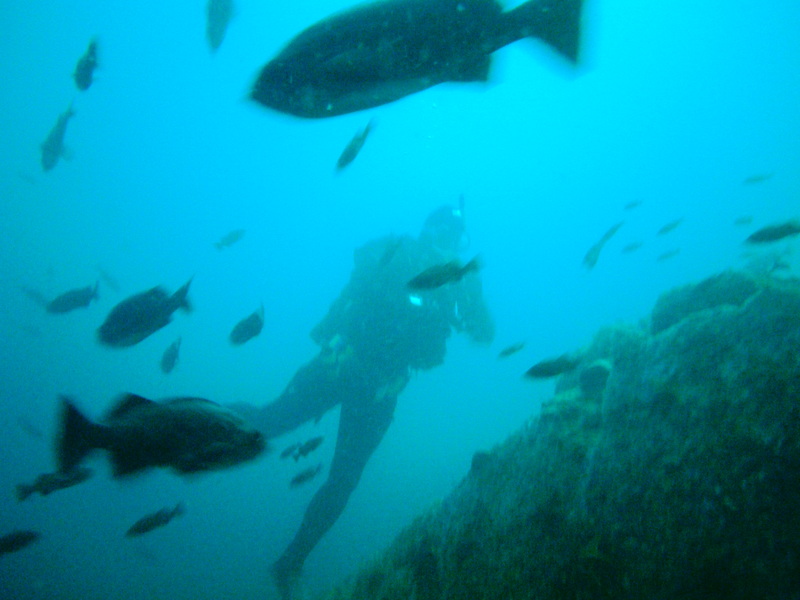 Central California diving is coveted as some of the best cold water diving in the world. 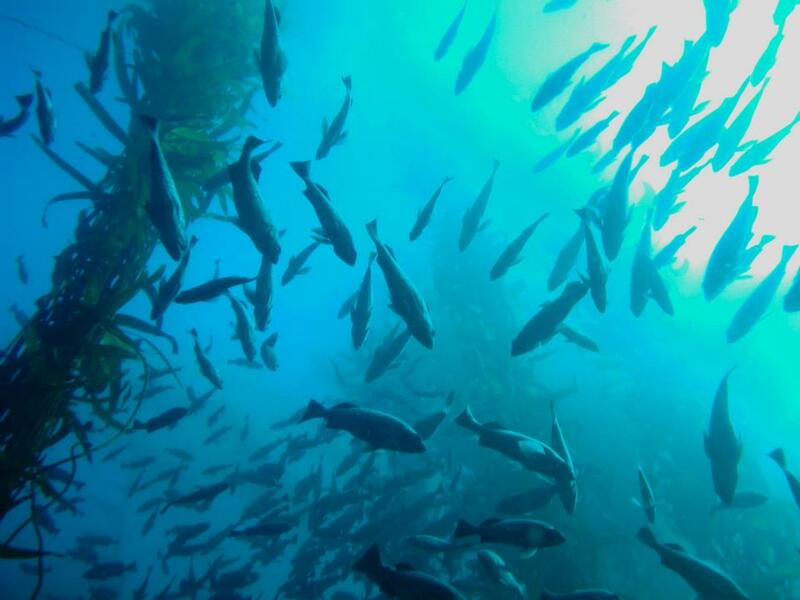 The kelp forest provide a unique environment that can only be found in California. 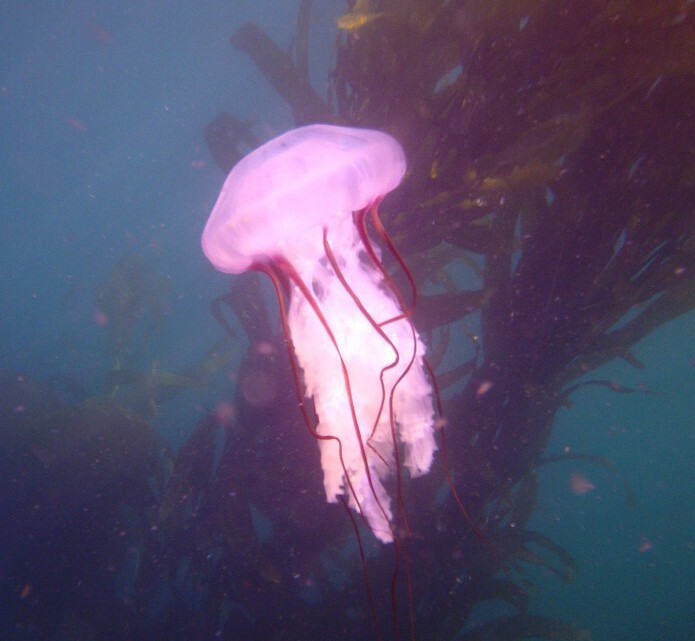 Diving in the kelp forest should be in every divers bucket list, and while many divers will make the trip to monterey and dive Breakwater, my suggestion is to head a little further south to Carmel. 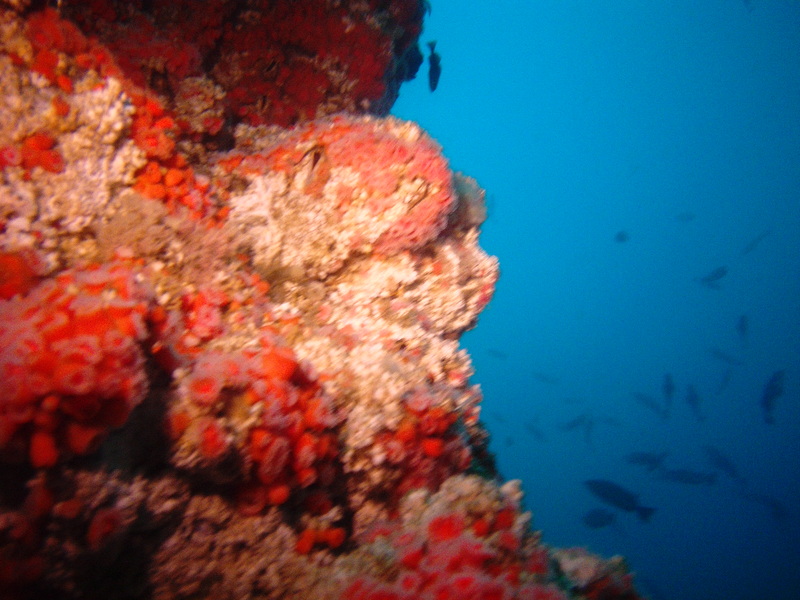 Carmel is not as frequently dived and the structure that can be found on many dive sites is unparalleled. With all of this being said there are a few misconceptions people have about diving in California. 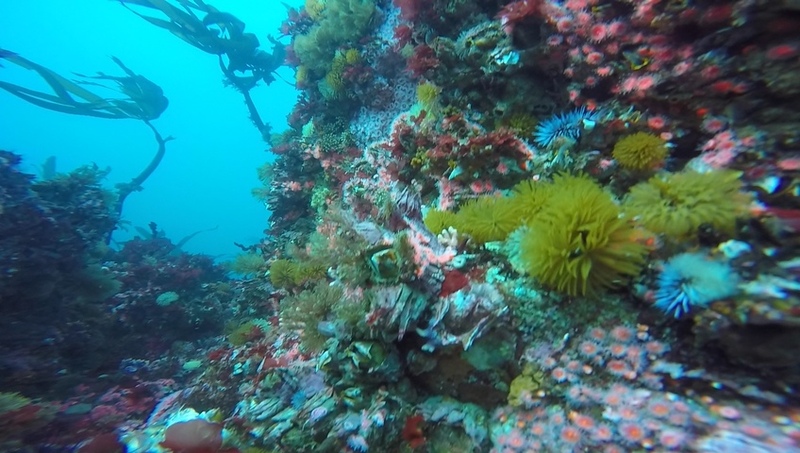 First California diving is completely different from diving anywhere else in the world. If you are not familiar with Monterey or Carmel I highly recommend hiring a guide they will help with gear and help you find the little treasures that hide in all the different nooks and crannies. Second, the summer is the worst time to dive, because of plankton blooms in the summer visibility degrades in the summer, the swells tend to be much lighter in the summer but this lack of movement allows the water to become stagnant. Third, the water is cold no matter the time of year, average yearly highs in Monterey are in the mid 50’s while Lows are in the mid 40’s, average temperature is 50 degrees. The best time to dive California is in the winter and spring, winter storms wash out all the junk that collects during the fall. Cold water is also a sign of upwelling, meaning that cold very clear water is coming up from deeper waters to replace surface waters displaced by winds. Upwelling normally occurs in the winter and spring along the California coast. The divers that are well prepared (usually the drysuit divers) are able to capitalize on these cold waters and on occasion find visibility of 60-150 ft. 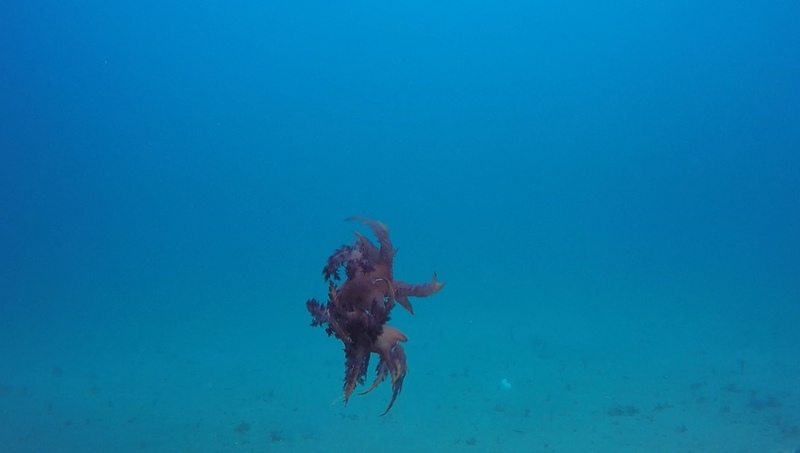 While many divers who are used to warm water and consistent visibility this may not sound amazing, but along the coast average visibility is about 20ft and can be as bad as 2 ft at times. So when reports of 100ft visibility are heard it is not uncommon to see divers flood the waters. So when you hear that the water temp is reaching its seasonal low its time to pick up your gear and get in the water. Kayak diving to many divers is an unknown term. For most divers there are only two types of diving shore and boat, but there is a new type of diving that provides the benefits of both in one great package. 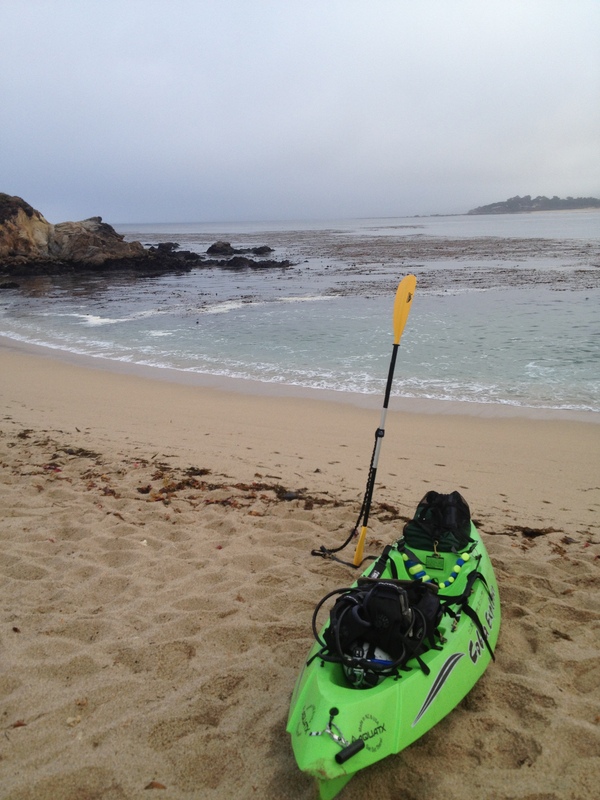 My introduction to kayak diving began with my employment at Adventure Sports Unlimited in Santa Cruz. With the California coast being renowned for its amazing kelp diving there is a small issue of access. A majority of the best diving is right off the shore which is accessible for divers willing to swim out but would require lengthy swims. Of course boats can also access these locations but they require long motors to many of them that require calm conditions to make it around point pinos. Kayaks solve both of these problems they are easily transported to the nearest beach, and allow for easy transport from the beach to the site. Some might wonder what to do with all of the equipment and when do you put it on? The kayaks used by Adventure Sports Unlimited are sit on top kayaks and are specially outfitted with extra straps to accommodate all the equipment. All the diver has to wear is his or her wet/dry suit and booties, everything else is attached to the kayak in case of capsizing. 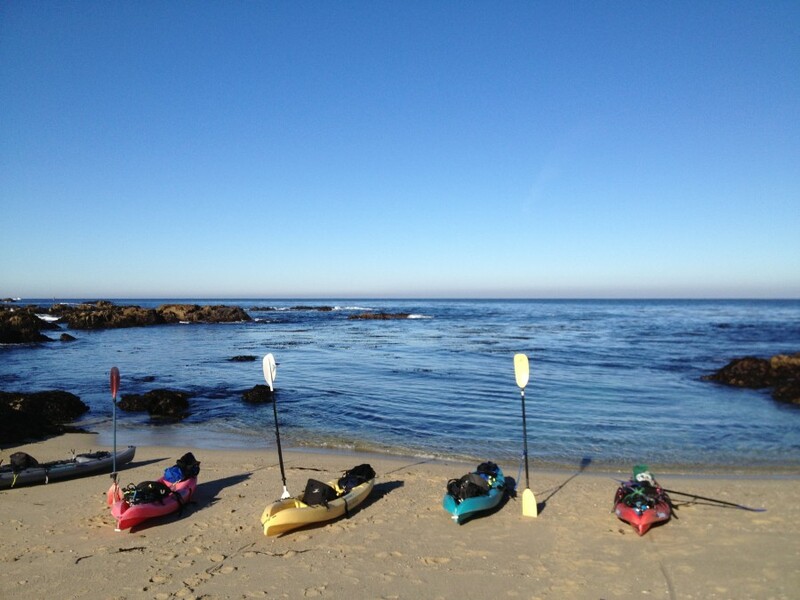 Currently Adventure Sports Unlimited is the only shop using kayaks as a vehicle on the central coast and as far as I am aware in California as well. they provide a safe transport to dive sites where a person does not have to worry about the treacherous entry and exit, or the fatigue of swimming to sites that are farther from shore. Being able to move so far offshore gives the convenience of a dive boat without the cost and hassle. Like diving, using a kayak to dive has a steep learning curve, balance can be an issue at times as well as seasickness. The hardest part of Kayak diving is the timing of the entries and exits, if poorly timed a kayak diver can fill equipment with sand, or lose equipment if not properly attached. 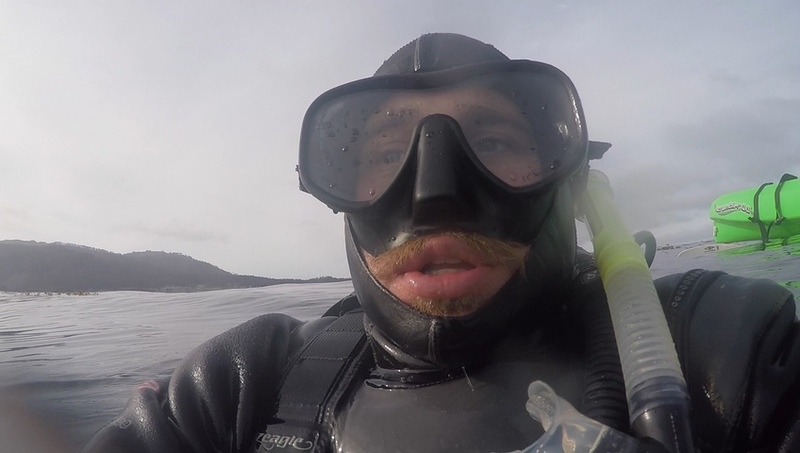 But like diving everything improves with time, within the last 3 years i have managed to do over 300 dives off of kayaks and I now refuse to do a shore dive without one. 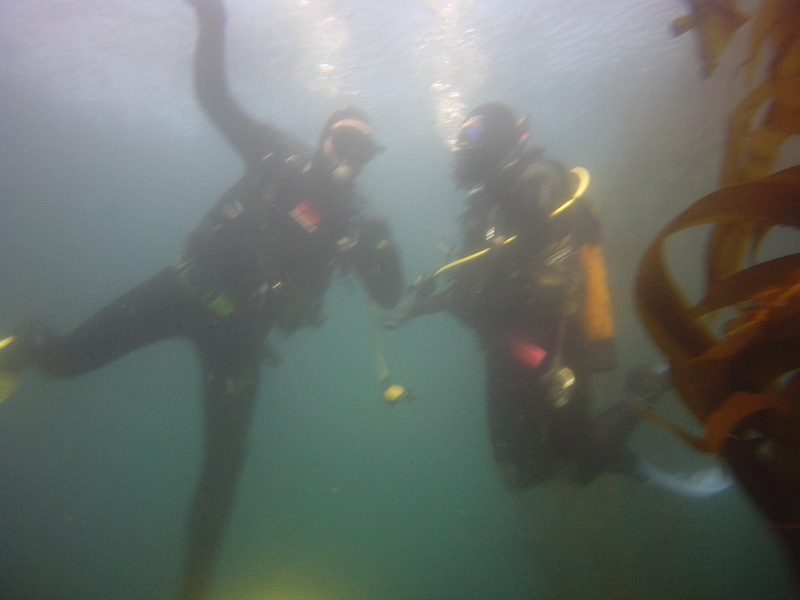 I can get out to my site much faster and with less effort, and increase my dive time by starting my dive exactly where I want to instead of descending and waisting air getting to it when I am to tired of fighting with the kelp. I hope one day that Kayak diving is more mainstream, it is fuel efficient and promotes exploring for new sites, but there are limitations that need to be addressed. 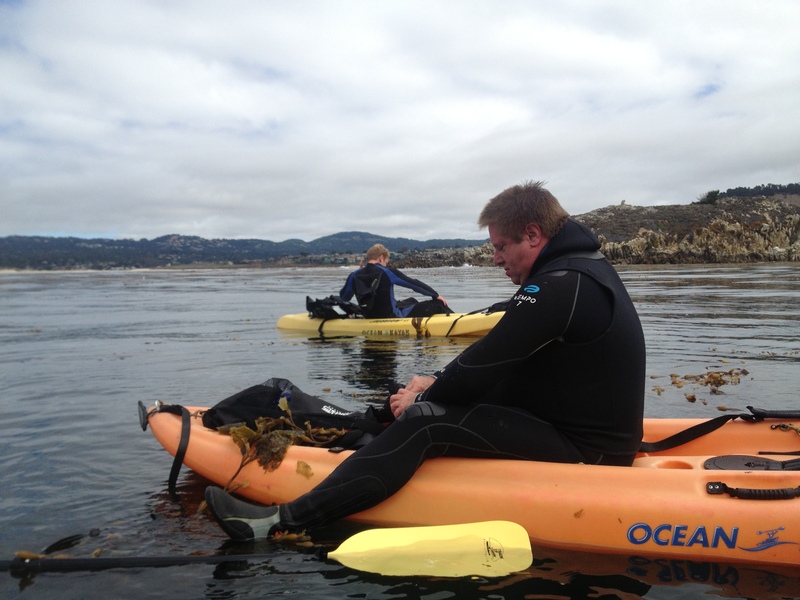 Here in Monterey and Carmel we tie our kayaks off to the kelp, many places worldwide do not have that option, so an anchor would be best suited, but what about damaging the seafloor with anchors, set up moorings. 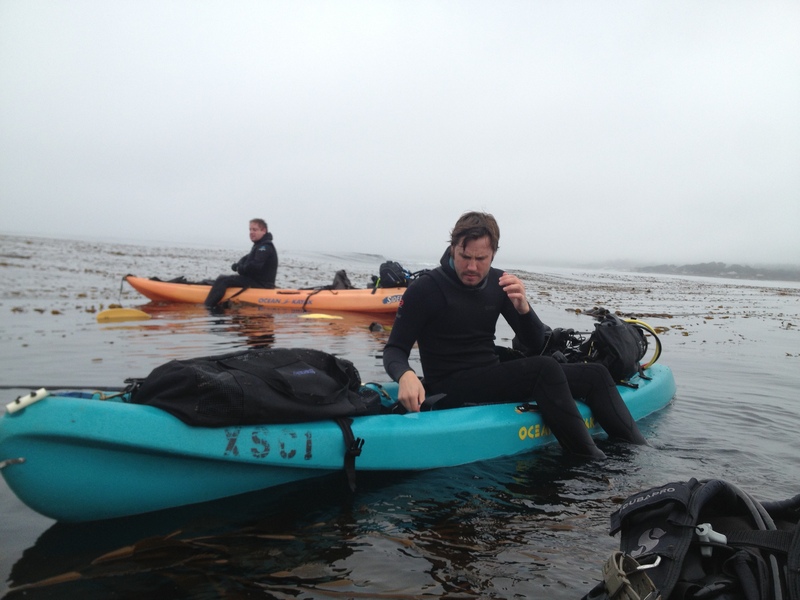 As a final word on kayak diving they are a wonderful vehicle to access the Carmel and Monterey Bays, and I hope some time soon they will become a new standard for diving. For anyone who has taken an open water certification course we all know that it is not a good idea to go diving without a buddy. On dives our buddies are our lifelines and are there to help us when we find ourselves in a serious situation. So for anyone who may be considering diving solo first you must be very self sufficient, you don’t need help getting into any of your gear and don’t need to be reminded to check your air on the dive. Solo diving is not for beginners, I have done hundreds of dives and am very familiar with the dive sites that I dive at. With that begin said it is not uncommon in Monterey for divers especially photographers to dive alone. For my dives I usually do my best to over prepare, i always carry 2 computers to ensure that i never exceed my NoDeco Limit, one of my computers is Air Integrated and I have a standard SPG as well. I do not bring a pony bottle because I vary rarely solo dive but if i had one I would bring it with me. I also use a Kayak to reach my dive site, this allows me to easily get passed the rough water on the shore and put my gear on directly above where I intend to dive. This means that if i get tired during the dive or at the end i have a place i can rest before heading in. With this being said solo diving is a very different experience, you only have to worry about yourself, and your own air consumption. so you can dive as long as you want, you do lose a second pair of eyes for spotting different things but you also don’t know about anything that you might have missed. Other perks include not getting kicked or bumped by a buddy or the visibility being compromised by a buddy who bounces on the bottom and stirs up the sediment. Some times you are fortunate enough to find the beauty and serenity of the ocean without the extra distractions of other divers. 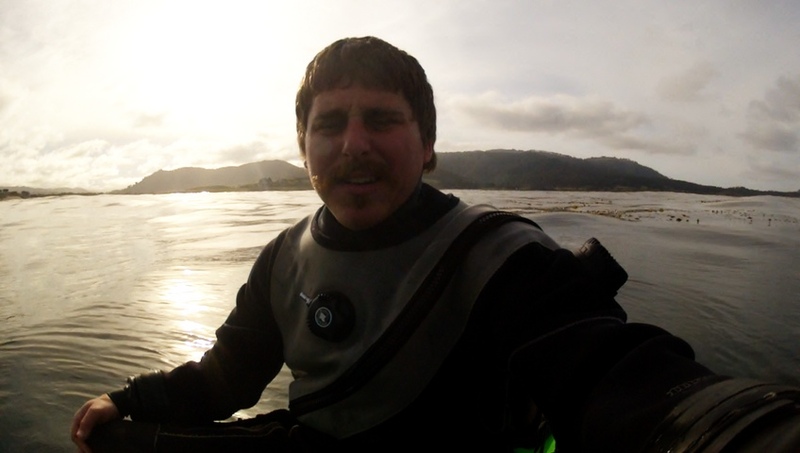 Check out my dives from my two solo dives at Carmel River State Beach and Breakwater. Over the last year I have invested all of my diving not obligated to work to using my GoPro Hero 2 and more recently Hero 4 silver. The combination of affordability, ease of use and high quality video makes it a no brainer for any diver that wants to share their experience with their friends. There is a lot of trial and error using a GoPro and there is no doubt that a shot you may have hoped to capture might not turn out the way you wanted. Aside from putting away the time to practice with the GoPro are a a couple things i think are imperative for diving with GoPro. Dive Housing- despite the standard housing being water proof to 139ft there are a couple reasons the dive housing is better. The dive housing is thicker and can take more punishment and depth 199ft, it also is compatible for multiple filter systems. Color correction Filters- Color is lost with depth, depending on how deep your dive is you may need different filters, red is the most common filter to brighten up the colors on a dive, the darker the red filter the deeper its intended for. There are also filters for green water like Monterey Bay and have a Rose color. 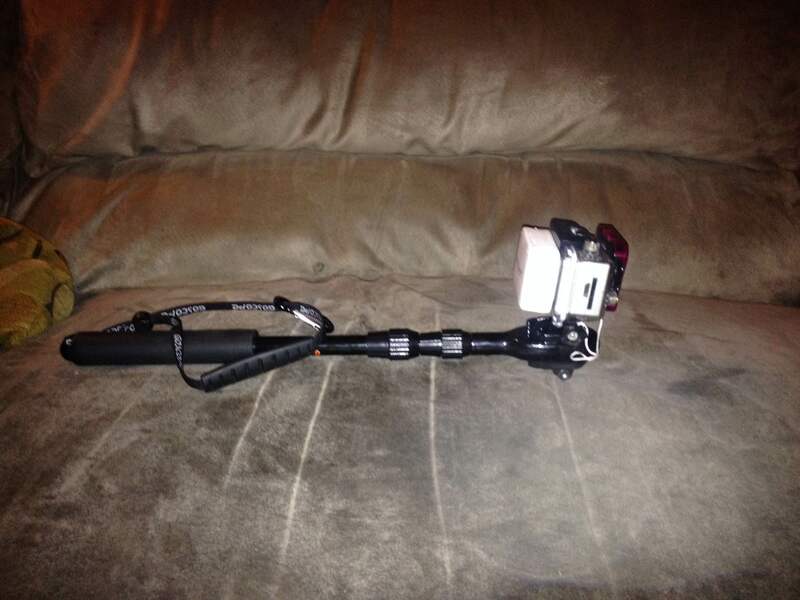 A proper Mount- there are many mounts that divers use for different reasons, its up to you to find what works best, but my recommendation is between pistol grip, pole/extendable pole, or a trey. 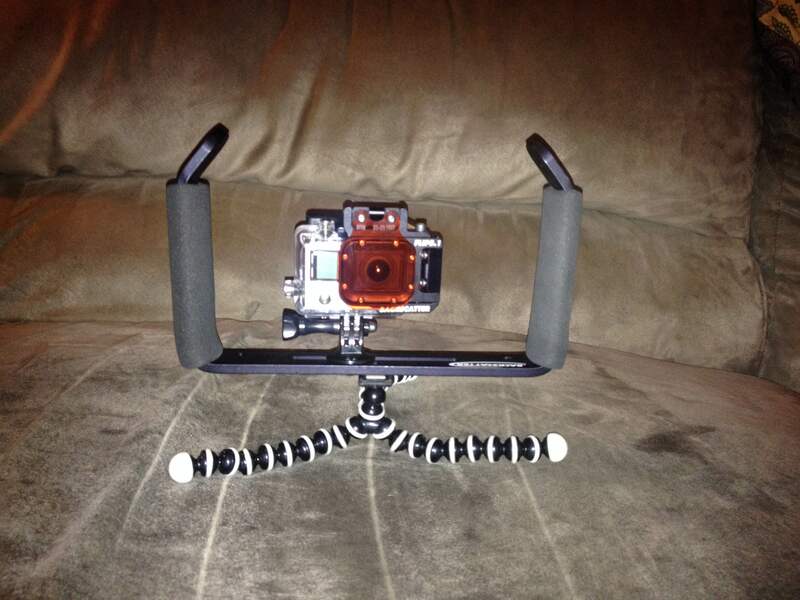 Holing it in your hand or mounting it on your head has a lot of sway and movement and can make the watchers sick and hard to steady the picture. Lanyard or clip- attach the GoPro or mount to you in some way either using a lanyard on your wrist or a clip to your bcd somewhere so you can have your hands free in an emergency and not lose your GoPro. Spare Batteries- if you own a GoPro you are well aware that they still don’t have the best batteries, I highly recommend Having a spare battery or two just so you can have a fresh battery for each dive so you don’t miss out on a chance to catch anything. They don’t have to be GoPro brand batteries the aftermarket ones work fine in my opinion and you can often find a package of 2 batteries online with charger and car adapter. 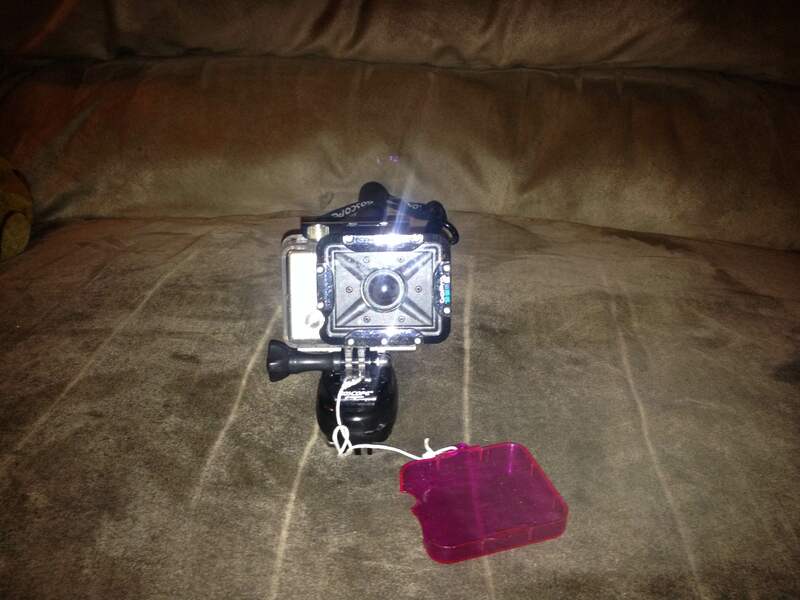 These in my opinion having these pieces of equipment will vastly improve the quality of the video you are taking, I will have videos of my dives posted periodically and hopefully everyone enjoys. Carmel River Beach is one of my favorite sites in Carmel and Monterey because of the defined structure, huge granite pinnacles making valleys and canyons to swim through, as well as life that can be found in every nook and cranny. I hope everyone enjoys. I had the opportunity recently to try something that I have not done before as a part of this night dive. Although I have done many night dives, and even a few at South Monastery beach this one was special because we decided to complete this dive off of kayaks. With the ability to travel to our site on the kayaks we were able to greatly extend our dive time and avoid the cold temperatures of 49 degrees. The kayaks allowed us to reach one of my favorite pinnacles at South Monastery its not super far from shore but much farther than i would have preferred to swim at night. It was amazing to see one of my favorite sites in Carmel at night. The dynamic changes, the rock fish begin to stir, the crabs scurry across the rocks and sand. I managed to find a wolf eel deep in a hole that unfortunately did not want to come out and say hello. 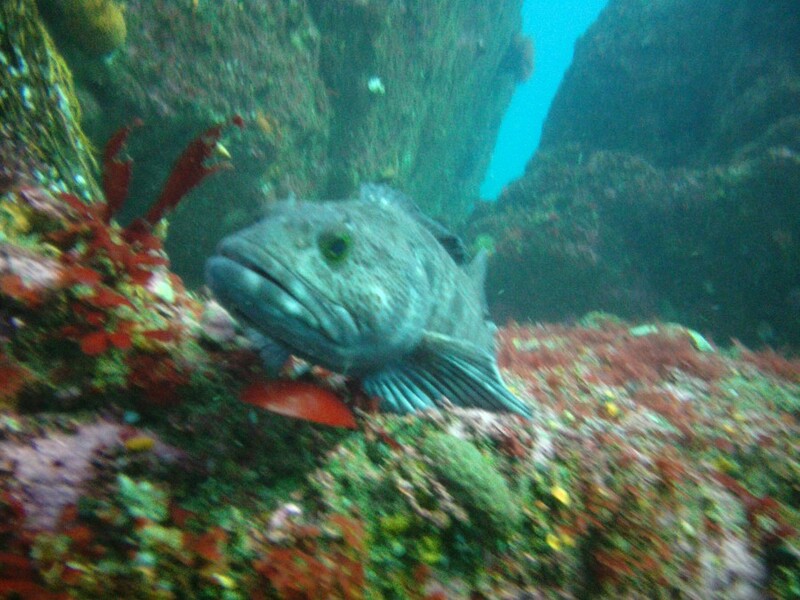 The visibility was great for a night dive close to 30ft, mainly due to the recently calm north west swell. We could not have asked for better conditions to test out our first kayak night dive. The dive was beautiful and well worth the effort of the kayaks, the true test was the end of the dive. with overcast skies it was pitch black with only the light of passing cars on the highway as a reference to shore. Aside from the normal uneasy feelings of night dives, this night dive is one of my favorites of Carmel Bay and Monastery Beach.